All-in-one app connects you with friends around the globe. Optional self-destruct messaging keeps it private. Share stickers and play games with friends while staying connected to all your social networks. Message, chat, share, tweet and like. 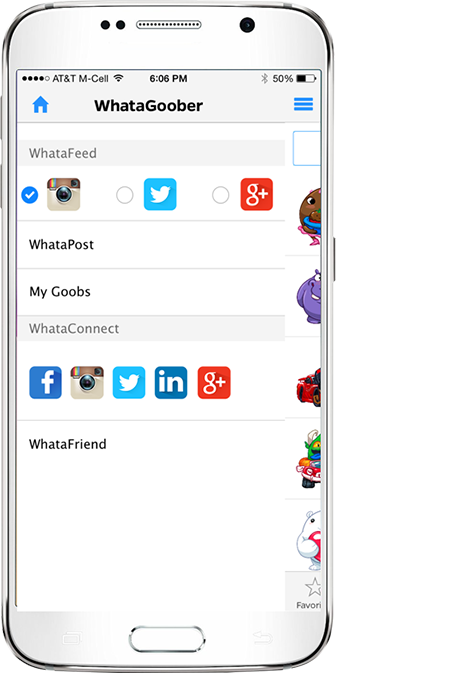 On the WhataGoober global social messaging app, connect to your friends across the globe! Access Facebook, Twitter, LinkedIn, Google Plus, and Instagram all in one place! Interact with your friends with the new and improved self-destruct messaging system for private conversations. Follow, post, retweet, comment, and like. Import your friends as contacts by inviting them to join! Ever want a private conversation? Chat within WhataGoober’s self‐destruct messaging system! 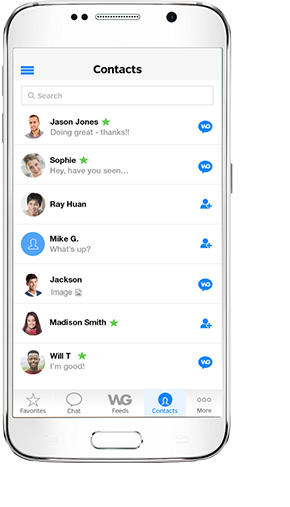 This new system of communication allows users to chat on a whole new level with Facebook, Twitter, Google Plus, LinkedIn, and WhataGoober friends. Invite your friends to stay connected, import your friends as contacts, and follow your friends to keep in touch!